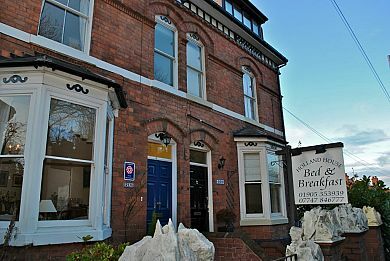 Holland House is a mid-terrace Victorian house, located within walking distance of Worcester Cathedral and shopping centre. We're within easy reach of the M5 (Jct 7). The house retains many of the original features and offers en-suite rooms with central heating, heated towel rail, 19" flat-screen TV, clock-radio, hair-dryer and tea & coffee making facilities in all rooms.